70 players applied for the bankroll challenge! Challenge013, Challenge029, and Challenge056 completed all the missions!! Challenge013 and Challenge029 completed all the missions!! Challenge056 also completed the second mission and Challenge031(Justin Shin) completed the basic mission! 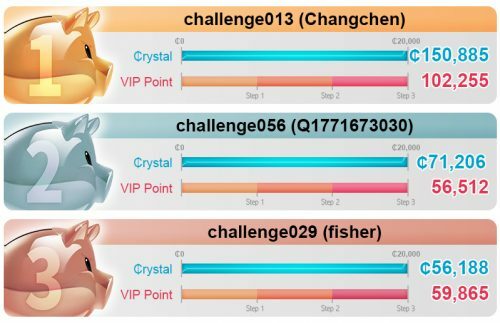 In addition, they’ve all reached Level 3, which means they can get the ￠10,000 tickets as winter level up reward! Challenge013 already completed all the missions!! * Final results will be announced on the first week of March. 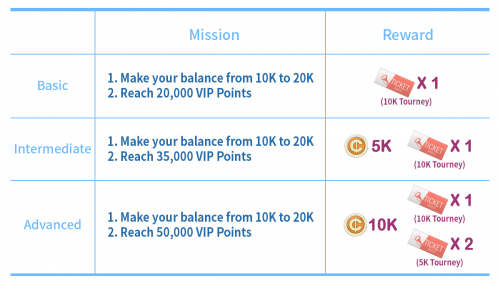 * After the event, all the remaining VIP Points for level and ₵ amounts will be transferred to your original account. **There are three step challenge missions. You will get the corresponding reward based on the result checked on Feb 28st, at CST 9:00 AM.